Watch Lindita on Inside Audition! Missed Lindita's American Idol Audition? Watch it here! 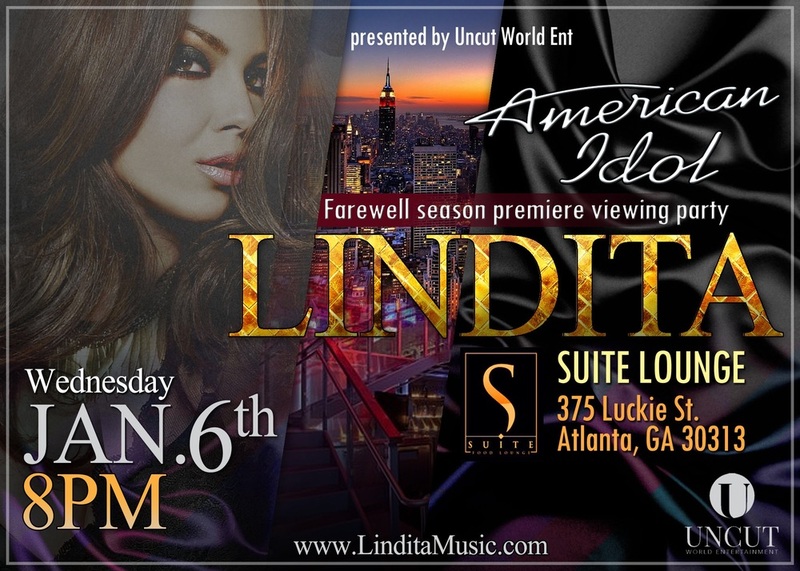 Join Lindita in Atlanta, GA Jan 6th, at Suite Lounge at 8pm for the American Idol Farewell season premiere viewing party! January 6th, Lindita will be a guest on Fox TV "Good Day Atlanta" at 9 AM! Tune in January 6th on Fox to see Lindita on American Idol! Lindita now has Snapchat and Periscope! You can now add iamlindita on your Snapchat to see what the artist is up to! To join Lindita on the go, search Lindita World on Periscope. Be sure to check her Twitter for when she goes live on Periscope! Welcome to Lindita Halimi's official website. Here you will find the latest news, photos, press, and music including her first American single "Cold World"!